The Hip Subscription: Skate It Or Hang It? Skate It Or Hang It? Being fans of skate art since about 1984, and ourselves having hanged a sweet Zoo York deck with art by the Collabros in our home, we have much love for this gallery exhibition. Running at the Museum of Design in Atlanta (MODA) from June 16th to August 16th and if you're in the area, it will be well with your time. 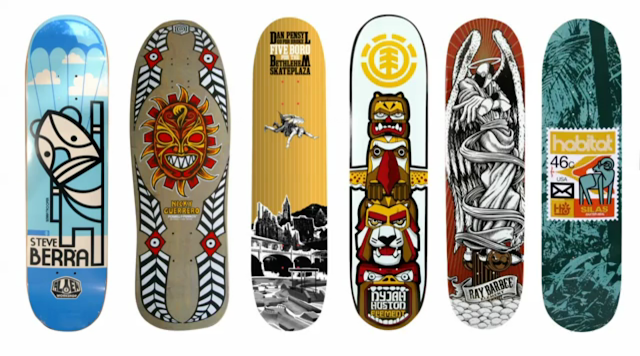 We also highly recommend a visit to your local skate shop to peruse the decks for you next piece of new art. More info here.